I'll admit that I am a little surprised by this, but catcher Michael Barrett signed a minor league deal with the Toronto Blue Jays and will be invited to Spring Training. I actually thought with the number of teams looking for veteran catching talent that some team would take a flier on him for a free agent major league contract even though Barrett was recovering from being injured in the face last year (he only played in 30 games). The Washington Nationals signed free agent Daniel Cabrera, RHP, to a $2.6 million deal for the 2009 season. Cabrera was 8-10 with a 5.25 ERA for Baltimore in 2008 and was shut down last year due to elbow pain. The contract is actually less than Cabrera made last year, despite logging 30 starts before the injury surfaced. The Nats required an MRI before making it official, but apparently he passed inspection. WEEI.com is reporting that RHP Brad Penny has confirmed a one year contract with the Boston Red Sox. The big right hander had previously shown a promise for top of the rotation stuff before going down with an injury, missing much of last year. Penny has previously confirmed he wanted a deal with Red Sox, despite other suitors, since he wanted to play for a team with a likely chance to be in the post season. If this is, indeed, a $5 million base salary deal, as is being reported, this is a decent investment on a guy with large upside and has shown the ability to throw 200 plus innings as a hard thrower. MLB.com is reporting that speedster Willy Taveras, who last year led the league in steals, has signed a two year deal to be the center fielder for the Cincinnati Reds, terms of the deal undisclosed. Happy Holidays from HotStoveReport.com ! According to this article on MLB.com, the signing by the Yankees of Mark Teixeira double screwed the Milwaukee Brewers. Not only did the Yankees take their #1 starter and free agent CC Sabathia, but the signing yesterday of Mark Teixeira, according to the antiquated system for compensation for free agent signings, also screwed the Brewers out of their #1 compensation pick. It is an interesting read, I highly recommend it. This may push a lot of small market owners to start demanding a new free agent system. 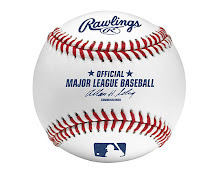 Now I know that a lot of people are angry with the New York Yankees, and I have a little of that too, it seems to me that the Yankees are largely just playing the game according to the screwed up rules set up by the collective bargaining MLBPA and the MLB owners. Obviously, any system of real revenue sharing would bring about much screaming from NY and Boston markets, who are the big winners in this system, but really many of the other markets would do well to start watching their home town teams religiously and then the advertising revenue local would increase such that free agent signings would be possible there as well. The real problem for smaller market clubs is not that they are not big towns, usually...the problem is that they do not have the passion about their teams in large enough numbers to stay competitive. That said, the system I think should change, and I've long advocated a salary cap system like the NBA for baseball. Oh, and let Mark Cuban buy a team. 1. Ben Sheets - Yes, there have been health issues,, but the guy is a #1 starter and is not that old...clearly there is a team that could use him. 2. Manny Ramirez - In a normal offseason, there would be a dozen teams looking to add his bat to their lineup, offseason problems or not. Granted, Scott Boras clients are likely out of the question for smaller market clubs, but for the Dodgers, Angels, Mets or Cubs not to sign this guy by now is pretty amazing to me. 3. Derek Lowe - There has been some scuttle here and there for Lowe, but normal offseason you would, I think, see a clear front runner with some piping hot small market clubs in the running. 4. Randy Wolf - This guy had a phenomenal second half of the season and is left handed yet he remains unsigned and was even not offered arbitration by the Astros, who really needed his services. 5. Ty Wiggington - Like Wolf, Wiggington had a great second half an actually held his own fielding at 3B in Houston last year. Granted, he's getting a raise from the bargain the Astros got him for, but it is still fairly in line with 3B salaries for a guy that can play every day. 6. Brad Penny - Yes he's been hurt and can be wild, but he's a big dude, throws hard, and has shown he can be a top of the rotation kind of guy. As far as I've heard, only the Red Sox are seriously talking to him at this point, normally there would be a dozen teams talking to him. 7. Adam Dunn - yes, the Red Sox nation started to talk about Dunn after Teixeira signed, but so far Boston has not pulled the trigger. He's another guy that was not offered arbitration, something that would probably have been unheard of last year. 8. Pat Burrell - I mean, he only was the starting OF for a World Series club with 33 HR. Granted, he's pricey if he wants to make what he did last year. 9. Brian Fuentes - 30 saves and a 2.73 ERA while pitching in Colorado. Hellllllooooo? Anyway, check out the free agent tracker at ESPN and see for yourself. Weird year for the Hot Stove League and us at the Hot Stove Report. In clearly the Houston Astros' management's response to the Mark Teixeira signing by the New York Yankees, the Astros went out and signed former Lamar University and Beaumont native Clay Hensley, RHP, to a one year, $550,000 deal to compete for a rotation spot or a place in the bullpen. The Astros had apparently inquired about the pitcher a few years ago at the trading deadline, but signed him directly this year after getting the thumbs up from Hensley's former bullpen mate Doug Brocail. And it is done. Mark Teixeira has agreed to an 8 year, $180 million contract to be the first baseman for the New York Yankees. Obviously this does not mean that the Yankees will win the World Series, of course, but they certainly made a few Yankee fans happy. But as I read somewhere, being a Yankee fan, unless you grew up in NYC, is a little like cheering for Brad Pitt to get the girl at the end of the movie. Teixeira, Sabathia and Burnett were the girls, and Brad Pitt got them all. Frankly, I'm wondering if other MLB owners aren't a little excited about the spending spree, given the luxury tax money going to the other clubs. If I were an owner of a small ballclub in this market and economy, I might hope NY continues to spend, spend, spend. Anyway, there will be rumbling, but essentially the problem is with the ownership structure and lack of salary cap in baseball. I think a system like the NBA makes sense, with the allowance for guaranteed money and "Larry Bird" exceptions. But I don't foresee Boston and NY agreeing to that anytime soon. So for now, Yankees and Red Sox will build through free agency, smaller clubs will build through signing their young talent to long term deals before they know how good they are, and that will be baseball. There have been many reports that Mark Teixeira will be making a decision on which team with which he will sign before December 25, 2008. The Washington Nationals are reported to have offered Mark Teixeira an 8 year deal worth $178-184 million according to Mid-Atlantic Sports Network (MASN), with discussion of a ten year deal. It may be the length of time that made the Red Sox and Angels seemingly back down this past week, but the Red Sox and the Nationals are the front runners, according to Peter Gammons of ESPN. I'm guessing it is now down to opt out and no trade clauses if it is indeed the Nationals. Time will tell. A report on Foxnews.com is stating that the Anaheim Angels have pulled out of the race for signing Mark Teixeira, meaning likely that he will not return to the Halos next year. With the Red Sox previously stating that they were being outbid, it looks like Teixeira will go closer to where he grew up (in Baltimore), with the Nats and Orioles still apparently bidding, but recent word is that the Yankees are considering tendering an offer. Nothing like Boras negotiations to keep the Hot Stove warm. Astros, in need of 3B help after non-tendering Ty Wiggington as a cost cutting move, signed Aaron Boone, formerly of the Nationals, to a one year deal worth reportedly $750,000. After a meeting with Mark Teixeira and his agent, Scott Boras, the Red Sox, through their principal owner John Henry has stated, "We met with Mr. Teixeira and were very much impressed with him," Henry said in an e-mail time-stamped 10:45 p.m. "After hearing about his other offers, however, it seems clear that we are not going to be a factor." This basically puts the Orioles back in the spotlight, given Teixeira is a Baltimore native and owner Peter Angelos has indicated he is interesting in signing Teixeira, who hit .308 with 33 home runs and 121 RBIs, and 97 walks last season. Given Boras is his agent, I would not count out the fact that this may all be a plan by the Sox to really see what Boras has on the table, and to see if a split with Boras might be in Teixeira's future. There are many reports right now that Furcal has agreed to terms with the Dodgers very similar to the deal reported worked out with the Braves, and the Braves management is very ticked at Furcal and his agent, as are many of the Braves faithful. There are mixed reports as to why Furcal chose to re-sign with the Dodgers, but suffice it to say this is not the last we've heard on this topic. Reports are that Furcal's agent and the Braves worked out a deal, and that the Braves signed the term sheet and returned it to Furcal's agent believing the deal to be done, but did not receive a countersigned term sheet from Furcal. When the Dodgers matched the offer, Furcal signed with the Dodgers. Stay tuned. Rafael Furcal, SS/2B, has reportedly agreed to a deal with the Atlanta Braves as reported by MLB.com. Furcal had left the Braves a few years ago to sign with the Dodgers, and so far the agent for Furcal is not acknowledging the agreement or its terms, raising questions whether it is a done deal. Stay Tuned. UPDATE(12/17): It appears MLB's report was based on a conversation with the Braves, and the Braves clearly thought they had a deal. The agent for Furcal, though, said basically that currently the leader is the Braves, absent some movement from the Dodgers or another horse in the race. The Dodgers apparently moved it such that the Braves deal is not completely "done, done", but I understand they are still the front runners for Furcal's services. However, as of now, nothing is signed. Thanks to our readers, Hot Stove Report made the Top 25 Baseball Links list for favorite baseball sites. Thanks! I'm imagining that the Phillies waited to sign Jamie Moyer, 46, simply because of the second year of the deal, but apparently they have finalized a deal for two years, terms as yet undisclosed. Moyer is third now on the active win list with 246, and will likely end his career in his hometown. The agreement to sign was announced today by the team's VP, Ruben Amaro, Jr. The Astros signed Jason Michaels to a one-year contract worth $750,000. He can play all three outfield positions, and can, if needed, play on a regular basis. Michaels, 32, didn't exactly light it up last year when he hit .224 with eight home runs and 53 RBIs in 123 games with the Indians and Pirates in 2008. In 50 pinch-hit appearances last season, Michaels hit .200 and recorded 13 RBIs, ranking third in the Majors in RBIs as a pinch-hitter. Michaels started his major league career and played with the Phillies when Ed Wade was the GM, so presumably Wade knows his makeup. Newsday is reporting that Manny Ramirez is so upset with the lack of suitors for his services that he is considering retiring if no suitable offer shows up soon. I guess I'll believe it when I see it. Chan Ho Park announced at a Monday press conference in Korea that he's agreed to terms with the Phillies on a one-year contract worth $2.5 million in guaranteed money with another $2.5 million in potential incentives. Park made 49 of his 54 appearances last season as a reliever with a respectable 3.40 ERA with the Dodgers, but he apparently has indicated that the Phillies will give him a chance to start. If true, one wonders where this puts the negotiations with Jamie Moyer. Former Seattle Mariners OF Raul Ibanez, 36, and the Philadelphia Phillies agreed to a 3-year, $30 million contract to be the Phillies every day left fielder. Ibanez hit .293 this past season, with 23 homers, 110 RBIs, a .358 on-base percentage and a .472 slugging percentage. Ibanez is a hard-nosed player that should fit in with the Phillies faithful. This likely means the Phillies will not go after their former OF Pat Burrell in free agency. Kansas City announced on Saturday that it had agreed to terms with hard throwing former Atlanta Braves and NY Yankee reliever Kyle Farnsworth on a two-year, $9.25 million deal that includes a club option for 2011. Under the terms of the deal, Farnsworth will make $4.25 million next season and $4.5 million in 2010. The club option in 2011 is worth $5.25 million with a $500,000 buyout. Farnsworth could also earn an additional $750,000 per season in performance bonuses. Farnsworth and the Royals had reached a preliminary agreement earlier in the week, but the announcement came today after Farnsworth passed his physical. LH Setup Reliever Alan Embree, 38, joined the Colorado Rockies by agreeing to a one-year deal with a mutual option for 2010 that will pay him $2.25 million. The contract was officially announced on Saturday, December 13. He pitched the last two seasons with the Athletics and is in line to pitch for his 10th Major League club. In a move only done because of the economy, the Houston Astros non-tendered 3B Ty Wiggington. The Astros appear to be offering the job to Geoff Blum or prospect Chris Johnson, but neither will probably excite the Astros' faithful. Brandon Backe was tendered, as was Jose Valverde and all the other Astros eligible players except for OF Reggie Abercrombie. Tonight is the deadline for teams to tender contract offers to arbitration eligible players, and the Houston Astros have not hidden the fact that dumping a lot of payroll is on their horizon. The Grocer Drayton McLane has made it priority one for the Astros, which brings us to Brandon Backe and Ty Wiggington. The Houston Astros had hoped during the Winter Meetings to move Ty Wiggington and his arbitration eligible self. This was not a decision based on baseball alone, as Wiggington showed himself to be a pretty decent 3B toward the end of the 2008 season, and also showed the power that the Astros thought they had gotten when they traded with the Tampa Bay Devil Rays for him in exchange for setup man Dave Wheeler. Although it was criticized at the time due to Wiggington's questionable glove, he showed himself at least able to field the position during the year. Now it looks like that good play will make him likely win an arbitration award of about $7 million a year at a time where the Grocer is looking to put everything in Aisle Three on sale, not that the Astros have a major league caliber certainty at the hot corner waiting in the wings. This is simply The Grocer looking at the payroll and the advanced ticket/luxury box sales, not a decision anyone in the organization wants. Brandon Backe is the enigma, but the numbers game may keep him on the roster. He, too, is arbitration eligible, but he really has not returned to his pre-injury form and has been a spotty right handed starter, at best. He's a great athlete, and you figure he might be able to do more with a little more distance from the injury, but you just never know. Either way, he's under contract, has some years of service, and may be non-tendered just because what he gives you you could probably get cheaper elsewhere. I project Backe, even if signed, may end up as a middle reliever. Which is saying alot, given how little the Astros have as starting pitching even assuming Mike Hampton lives up to his contract value and incentives. But tonight is the night. We'll see where it goes...should be interesting. The Yankees have landed their top two choices from the free agent pitching market. A.J. Burnett has reached a preliminary agreement on a five-year, $82.5 million contract with New York, as first reported by ESPN.com, and they also landed C.C. Sabathia during the Winter Meetings in Las Vegas. Looks like Boston, you've been served. Oswalt to offer pay cut? Sounds to me like Astros RHP Roy Oswalt is going public to try to get the Astros to bring Jake Peavy on, offering to restructure his contract for "another arm". I'm sure the MLBPA would love that. Article on his statements and the club non-reaction here. CC Sabathia has decided to sign the richest contract of any pitcher in Major League history with the New York Yankees. An official announcement will not be made until many items can be agreed upon and reflected in the contract's language. Sabathia must also pass a physical examination, but that is expected to be a mere formality. An additional season and $20 million, authorized by Hal Steinbrenner and offered in the final minutes, sweetened the package. The deal now represents a record-setting seven-year pact for about $161 million, adding to the original offer presented to Sabathia on Nov. 14, which was reported to be for $140 million over six years. Reports on Wednesday afternoon said the package is worth $161 million and will include a buyout clause that will give Sabathia the right to opt out after three years, which was added to allay any concerns Sabathia and his family had about living in New York. According to Bill Ladson of MLB.com, via a major league source, the Washington Nationals have offered the switch-hitting first baseman an eight-year, $160 million contract that would pay Teixeira an average of $20 million per season. The Nationals would not confirm the dollar figures. The Angels, Orioles, Red Sox and Yankees are also in the mix. A published report said that the Orioles offered Teixeira a seven-year, $150 million contract. The New York Mets have acquired J.J. Putz from the Mariners to serve as the setup man to new closer Francisco Rodriguez. The Mets also received outfielder Jeremy Reed and right-hander Sean Green from Seattle. The Mariners received outfielder Franklin Gutierrez from the Indians and, from the Mets, right-hander Aaron Heilman, center fielder Endy Chavez and four Minor Leaguers -- first baseman Mike Carp, right-hander Maikel Cleto, left-hander Jason Vargas and center fielder Ezekiel Carrera. The Indians received right-hander Joe Smith from the Mets and infielder Luis Valbuena from the Mariners. The Cleveland Indians and free agent closer Kerry Wood have agreed to a two year deal today, according to the Chicago Tribune. The Atlanta Braves, who had offered a four-year deal with a fifth-year option worth a guaranteed $60-65 million before the meetings, have also expressed a willingness to go to five years on Burnett if necessary. The New York Yankees, making a hard late charge to beat out the Atlanta Braves for A.J. Burnett, offered the free agent right-hander a guaranteed five-year contract Wednesday, a baseball source told ESPN.com. The 2008 AL strikeout leader is reportedly seeking a 5 year deal in the neighborhood of the 5 year, $91.5 million deal Cubs' Carlos Zambrano received. Are They Putting the Band Back Together? An article (located here) says that the Angels, Cubs and Astros are all showing some interest in the Big Unit. Randy Johnson was an Astro for a phenomenal two months in 1998 (with Mike Hampton, who recently signed with the Astros for a one year deal). The Diamondbacks and Johnson's agent are apparently pretty far apart, so this may be Winter Meeting press releasing, we'll see. ESPN is reporting that Sabathia's deal with the Yankees will pay him as much as $160 million, and that there are "zero roadblocks" to getting the deal done. Kerry Wood and the Cleveland Indians are close to a two year deal, but according to Peter Gammons of ESPN, the Tribe are still exploring other options for their most glaring need, with Trevor Hoffman and Brian Fuentes being the most likely possibilities left in the closer market. According to Alyson Footer of MLB.com, Ty Wigginton, Jose Valverde and Miguel Tejada are the three Astros' names generating the most activity on the rumor mill at the Winter Meetings, but in all likelihood it's Wigginton and Tejada who will stay on the front burner, while Valverde has the best chance to still be wearing a Houston uniform in 2009. Tejada is scheduled to make $13 million next year, so it's likely the team would have to absorb some of his salary if they move him. The Cincinnati Reds got the backstop they were looking for, acquiring catcher Ramon Hernandez from the Baltimore Orioles for utilityman Ryan Freel and two minor leaguers Tuesday. The move cleared the way for uber catching prospect Matt Wieters to take over the postion for the O's next year. Francisco Rodriguez has agreed to a 3 year deal with the New York Mets, worth approximately $37 million. With Billy Wagner on the shelf, the Mets got the closer they were after. Trevor Hoffman and Brian Fuentes will now continue to shop their services to other teams. The NY Post is reporting that CC Sabathia is going to accept the 6 year, $140 million offer from the Yankees. Apparently the meeting with Cashman went well and Sabathia took the money offer. CC Sabathia has spoken with Brian Cashman and the Yankees but is reportedly holding off on a decision pending any forthcoming offers from the Angels, Dodgers, and Giants, presumably once those teams get some other priorites settled. He could also be waiting on Mark Texeira to sign first, although he has met with Cashman for a second time. In tow with Cashman Sunday night were Yanks' skipper Joe Girardi and Yankees' icon Reggie Jackson. The status of Jake Peavy, RHP for the San Diego Padres, is still up in the air. The difficult thing about reporting about trade rumors involving existing players under contract is that most teams are not allowed to discuss what is or is not being discussed except the team that currently has the player under contract. It is clear that the Chicago Cubs are desperately trying to find a way for a trade to work, but the more complicated a deal is, the more likely there will be something to break it apart. In this circumstance, it appears the Cubs will have to move Jason Marquis to bring in Peavy, and Marquis' contract at over $10 million will make him very hard to move. Marquis is a great #3 starter for a contender, but $10 million is just a lot to have to pay for a #3. I think Peavy will be dealt before the end of the Winter Meetings, but I suspect there are dark horses out there that will swoop in with an easier deal. Cubs are certainly the open and obvious front runner, but I think they won't close the deal ultimately since it will require a third club. We'll see. As insurance that they cannot sign the best free agent pitcher on the market CC Sabathia (who yesterday apparently indicated that he wanted to pitch next year for the Dodgers), the Yankees met with Sheets on Monday at the Winter Meetings in Las Vegas, and the New York Daily News reported that according to a source, they will offer the right-hander a multiyear deal, believed to be for two years and about $30 million dollars. The offer is expected to be made before the Meetings wrap up on Thursday and is seen as an insurance policy related to Sabathia, as clearly the Yankees have made no doubts that it wants Sabathia wearing pinstripes. Sabathia is no Boras client, however, and seems to be resistant to playing on the East Coast, although the money the East Coast teams are floating are so huge he may not be able to resist. The Colorado Rockies have apparently tendered an offer to free agent LHP Glendon Rusch, and both parties are rumored to be wanting to continue the relationship. Rusch joined the Rockies in 2008 after being released by the Padres and went 4-3 with a 4.78 ERA in 23 games making nine starts. Rusch was a former standout starter with the Minnesota Twins. The Astros added a bullpen candidate to the mix on Monday when they claimed right-hander Jeff Fulchino off waivers from the Royals. The 29-year-old Fulchino posted an 0-1 record and a 9.00 ERA over 12 relief outings last season. He also made 25 appearances for Triple-A Omaha, where he was 3-4 with a 4.84 ERA. He also made two appearances at the Double-A level. Fulchino is a big man, at 6-foot-5, 250-pounds and was previously in the Marlins' organization. He has a Minor League record of 45-49 with a 4.45 ERA and six saves over 182 games, including 154 starts. Former Astros and Twins SS / Defense specialist Adam Everett has reportedly signed a one year deal with the Detroit Tigers. Everett is part of a move by the Tigers to attempt to solidify their defense up the middle along with their trade recently with the Texas Rangers for Gerald Laird. Everett signed for $1 million. Filling a need from the injury of Billy Wagner, Mets are reportedly closing in on a three year deal worth $37 million with 27 year old closer K-Rod, Francisco Rodriguez. Former Astro Mark Loretta, 37, signed a free agent deal with what is appearing to be a freewheeling Hot Stove League Dodger team. Loretta hit .280 in 261 at-bats last season but batted .330 against left-handers. He played 46 games at second base, 17 at third base, five at shortstop and two at first base. He presumably would take the place of Nomar Garciaparra, who appeared at three infield positions this season but is apparently considering retirement because of health issues. Loretta is a 13-year veteran and two-time All-Star that earned $2.75 million last year and will receive around $1.4 million in 2009. Loretta is one of those great utility players and has some of the best patience at the plate I've ever seen from a reserve player. He doesn't have the pop in the bat to be a likely every day player, but he is great off the bench and a decent fielder. The Astros were only not interested due to salary concerns. Ah, Las Vegas. The perfect backdrop for the bargaining, negotiating and risk/reward associated with a baseball trade. With the start of the Winter Meetings just underway, an unexpected early trade seems on the horizon...Tigers acquired C Gerald Laird from the Texas Rangers for AA RHP Guillermo Moscoso and hard throwing 17 year old Carlos Melo of the Dominican Summer League. This was pretty early for the Rangers trade, who seemed to have the goods this year in trade discussion given that they had a logjam at catcher and everyone was looking for catcher talent. Seems now all eyes will be on Scott Boras clients, Manny Ramirez, Mark Teixeira, Derek Lowe and Jason Varitek. Boras will be very busy in Las Vegas. The White Sox have agreed upon a trade that will send right-hander Javier Vazquez to the Braves, a Major League source confirmed to MLB.com on Tuesday evening, with the deal apparently contingent upon the players passing their physicals (Vazquez is scheduled to undergo his physical in Atlanta on Wednesday). In return for Vazquez and another yet undisclosed White Sox player, Chicago will receive as many as three players from the Braves. Reports are that one of the players is shortstop Brent Lillibridge. According to the AP, as reported in the USA Today, Doug Brocail re-signed with the Astros, and gets a $2.5 million salary next year and Houston has a $2.85 million option for 2010, with a $250,000 buyout. The deal also includes performance bonuses. Brocail, 41, was a decent setup right handed reliever who was denied arbitration by the Astros yesterday. This eliminates the need for any discussions of Russ Springer in an Astros uniform. According the the Houston Chronicle, the Astros declined arbitration to catcher Brad Ausmus, Doug Brocail (leaving yet another middle reliever in free agency), SP Randy Wolf and utility infielder Mark Loretta. Loretta and Ausmus were expected, Brocail and Wolf were obviously based on negotiations and payroll figures. The Mike Hampton signing probably made Wolf expendable (the Astros do not need three left handed starters), and the market for Wolf was proabably more than the Astros could bear, particularly if they lost arbitration. The Astros, clearly determining that Mike Scott and Charlie Kerfeld are busy, signed Mike Hampton to a 1 year deal (pending physical)... Rumors also that former Astros Andy Pettite and Bobby Abreu, in addition to Jason Giambi, were not offered arbitration by the Yankees. As expected, Ben Sheets and CC Sabathia were offered arbitration, but Kerry Wood, the former Astro-killer, was not offered arbitration. Many teams were going to announce their arbitration decisions on Tuesday, December 2. The MLB arbitration deadline is approaching, which may finally kick in the free agent signing season. This is a rather unusual year, given that the economy is screwing with teams' partnerships with corporations in financial trouble, and I'm sure it also has to be doing a number on luxury box sales. Hard to lay off 50,000 workers due to the economy but keep the luxury boxes. So free agency will be an interesting ride. Look for decisions from Yankees on Abreu and Pettite, which should be interesting. But I'm presuming that a lot of Type B free agents will accept the arbitration offer, given that the market for free agents is simultaneously full and facing a heavy economic slowdown, particularly at closer positions. After midnight tonight, I think, the Hot Stove will kick into full gear. According to Japanese newspapers, Junichi Tazawa, the amateur right handed pitcher from the corporate team Eneos (Nippon Oil), will sign with the Boston Red Sox. Apparently the Texas Rangers made a longer term deal for more money, but Tazawa chose to join the BoSox due to their "development program", and due to the fact that Diasuke Matsuzaka and Hideki Okajima have been there before to help transition. This signing apparently is causing some in Japan to stir, in that Japanese and American teams had previously not actively sought amateur players from the others' countries. Tazawa chose to forego the Japanese draft to sign with the Red Sox, which may provide more impetus for a international draft in baseball (particularly if relations with Cuba become less hostile). According to WEEI.com, citing sources familiar with the negotiations, the Red Sox have submitted an initial contract offer to free agent catcher Jason Varitek this offseason for one year. It was not reported what the monetary size of the offer would be, although indications were that it didn't approach the annual average (roughly $13.1 million) commanded by Yankees catcher Jorge Posada in a four-year contract last offseason. CC Sweepstakes...Citibank Bailout to Make CC a Yankee? Jerry Crasnick of ESPN says that Boston Red Socks general manager Theo Epstein spoke with A.J. Burnett's agent by phone last Tuesday to express the team's interest in the free-agent right-hander. He says decision to reach out and call agent Darek Braunecker was a clear sign that the Red Sox are ready to try and compete with the Blue Jays and the Yankees and several other clubs for Burnett, an 18-game winner for the Blue Jays in 2008. See article here. I wonder if this is just Boston trying to drive up the price on the Yankees. Kris Benson (33); A.J. Burnett (32); Paul Byrd (38); Roger Clemens (46) Matt Clement (33); Bartolo Colon (36); Shawn Estes (36); Josh Fogg (32); Freddy Garcia (33); Jon Garland (29); Tom Glavine (43); Mike Hampton (36); Mark Hendrickson (35); Livan Hernandez (34); Orlando Hernandez (43); Jason Jennings (30); Randy Johnson (45); Kenshin Kawakami (34); Jon Lieber (39); Braden Looper (34); Rodrigo Lopez (33); Derek Lowe (36); Greg Maddux (43); Pedro Martinez (37); Jamie Moyer (46); Mark Mulder (31); John Parrish (31); Carl Pavano (33); Brad Penny (31); Odalis Perez (32); Oliver Perez (27); Andy Pettitte (37); Sidney Ponson (32); Mark Prior (27); Kenny Rogers (44); Glendon Rusch (34); C.C. Sabathia (28); Curt Schilling (42); Ben Sheets (30); John Smoltz (42); Koji Uehara (34); Kip Wells (32); Randy Wolf (32). Interesting that Mike Hampton is only 36, seems like he's older than that. Indians to look at Astros' Valverde and Wiggington? Although I thought that Wiggington would be an Astro next year, looks like the Tribe may be interested in a deal for Valverde and Wiggington, at least according to this article. Valverde is likely going to be trade bait for the Astros, since a team that is likely rebuilding is not going to be looking for a closer, but I see Wiggington staying with the Astros as he has a Drayton McLane temperment. I guess we'll see. Phil Rogers seems to indicate that maybe the Astros aren't out of the Jake Peavy sweepstakes. Maybe Jake will wear Brick Red and Sand soon?